Hey! It’s time for a Reader Case Study! I almost forgot about this cherished category of posts, partly because my MMM contact email address stopped forwarding way back on January 10th. “Ahh, this is relaxing”, I thought, “I guess nobody has any questions for me these days!”. Mrs. Money Mustache laughed at my naivete. I fixed the forwarding system on the web host, and FLOOD, 100 personal questions and comments came in to engulf me. (My apologies, by the way, to everyone who emailed me during the past two weeks and was ignored). So it’s time to get back to work and answer some questions. Today’s comes from a US couple with young kids, just getting started in their careers. 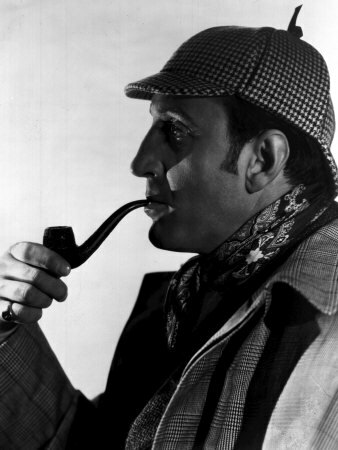 Did it ever occur to you that Mr. Money Mustache and Sherlock Holmes have a lot in common? I just finished the Adventures and Memoirs series and couldn’t help but draw some parallels. Like MMM, Holmes appears to be an early retiree who does the kind of work that interests him most. He doesn’t even have one car, and he pretty much just does whatever the heck he wants to (granted, Holmes is a bachelor), and it happens to reward him financially. But besides that, he’s a detective. And I kind of think of MMM as a debt-fighting detective who goes around sleuthing to stop crimes of financial insanity. I’m a recovering law student, still looking for a “real” job while working as a law clerk, and she’s a full-time mom who does some contract editing work in the evenings when the kids are sleeping. Until recently, we took in around $2000 a month, and we spent around $2000. Due to some cuts in our spending (like me biking to work, a borrowed bike trailer for other errands, and other applications of fiscally sound principals) we are planning to squirrel away at least $500 a month until I get a job and our income increases dramatically. Also, because we have two kids, we’ll get at least $4000 from Uncle Sam at tax time (Earned Income + Additional Child tax credits). Unfortunately, we’re in the hole as far as net worth goes. No consumer debt, but we have student loans totaling about $52,000. Ouch. In terms of assets, we have about $6,000 in cash, $14,000 in retirement accounts, two cars* we’re going to sell (worth about $2500 apiece), and our actual family car, a recently purchased ’02 Honda Accord (we paid $4000 cash for it). Our question is whether to pay down the student loans as fast as possible, or try to build up cash as fast as possible so we can be in a better position to buy a house? Of course we are eager to pay off these debts as soon as possible. Although federal student loans in the U.S. have fairly agreeable terms as loans go (like deferment when you become unemployed, income-sensitive repayment, loan forgiveness in certain careers, etc.) it’s still not something we want to keep around in our lives for too long. But we’ve also been interested in setting aside some money each month into a “house fund,” with the idea that we will probably be buying a house at some point in our life, and we really want to have at least 20% to put down on it. Waiting until the student loan is paid off before incurring a mortgage has a sensible ring to it, but at the same time, I’ve been looking into renting vs. buying in some of the areas where I plan to work, and a $200K mortgage at 3% interest would actually come in quite a bit lower in terms of monthly expenses than a comparable rental. Plus there just aren’t many rentals in some of these markets. So let’s say we have $500 to allocate somewhere every month, plus a one-time windfall from the government of about $4000. How much of that would you put towards student loans (especially the one that’s actively accruing interest at this very moment) and how much would you squirrel away into a savings account? Congratulations! You are on a good path with low expenses, and I’m glad to see so much thought being put into the next step. In your situation, most people would just immediately go out and finance two minivans while simultaneously buying a house with 0% down and furnishing it with credit cards. The first step is definitely paying off the currently-active student loan. 6.7% is a high interest rate by today’s standards, and you’ll never beat the guaranteed return you get by paying if off right now. Take some of your cash and wipe it out. Hooray! Your car situation sounds excellent as soon as you sell off the two spares – one car, paid off, reasonably efficient and reliable. No need for improvement there. Your next step depends on how those student loans shape up. For now, if they are not accruing interest, there is no need to pay them. But as soon as they do, you’ll want them gone, because the interest rates are higher than those you’d incur with a mortgage. If I were in your situation, once I got a job offer I’d put top priority on finding an apartment or home rental within non-driving distance to work. It can be a low-cost place for now – remember, you currently have a negative net worth which means it’s emergency time rather than luxury time. Pay off the high-interest loans completely and ignore home downpayment savings for now. If you try to simultaneously save for the house, you’re effectively paying 6.7% interest for the privilege of building up a downpayment in a 0.9% savings account. That’s not good math. Even if you succeed and end up getting a house this way, you’ll then have a mortgage, property taxes, maintenance and upgrade costs, student loan payments, AND a collection of empty rooms that are screaming for furniture, appliances, curtains, bedsheets, and other treats. All with a negative net worth. On the other hand, if you eliminate the debt FIRST, your wealth will start to climb much more quickly. You’ll save a compounding amount of interest fees each month. Then once the loans are paid off, you’ll drop your monthly costs significantly. During this whole time, you will be living in a small apartment or rental house which will remind you every day of your mission: saving for the house. Because of this, you’ll lead an efficient lifestyle and the 20% downpayment will fly into your bank account very quickly. With a good downpayment and no other debts, you’ll qualify for a better mortgage with lower rates and a higher ceiling. This will give you both mental and financial leverage when you eventually do your house shopping, which will help you get a great place. You’ll begin your new homeowning life just as your law career starts to take off, allowing you to rapidly amass a life-sustaining ‘stash. This freedom from debt will also help you avoid the Lawyer Trap, where junior staff feel pressured to work ungodly hours to pad a senior partner’s paycheck. With a strong financial position, you’ll have the confidence to call your own shots and spend the right amount of time with your family. Case closed, and congratulations again! Previous Post: Gaming the System with Rewards Credit Cards Next Post: The Foreclosure Project: Final Numbers and Pictures are In! Agreed. Get rid of that $4700 loan! I’d also want an emergency fund of 3-6 months worth of expenses. Ditch the cars & focus everything on finding a higher paying job and then find a house. Renting gives you the flexibility of moving closer to your new job. I’d also like to add that if you buy a house that is bigger, or the same size as your rental, the amount of fixed costs will be higher than you think. Lots of your rent goes to Taxes & Maintenance. Don’t think that 100% of that rent is going into your landlords pocket. I’d try negotiating the rent by paying a few months rent up front or something. The emergency find is an essential requirement & the foundation for sustainable financial planning. Without it any sudden requirements for liquidity can deal a severe financial shock. And this is something I’ve found lacking in most folks plans. The mental plan is to just tack up any emergency spending onto multiple credit cards. On the other hand, I think emergency funds are for dopes. If you don’t have a credit card, get one. Use it for small purchases once a month or so. Pay it off every month. They will keep increasing your credit limit, even more if you request it. This credit line is now your emergency reserve. Not sure what a sudden “requirement” for liquidity might be, unless you lead the kind of lifestyle in which you need to make bail frequently. If you have $30,000 in the bank, you are much more likely to spend it on something stupid, like a wedding reception or SUV. If you have an outstanding loan, your debt is already an Emergency. Pay off your debt before saving for an imaginary emergency that probably won’t happen. On the other hand, housing prices and mortgages rates may be at historic lows, so this may be a unique opportunity to buy a home. As a compromise, you could buy a home in which you could rent out one or more rooms and live in smaller section of the house until you can afford to live in the whole house. From what I’ve been hearing, these interests rates will be around for at least another two years. I’d worry about the debt. There is too much risk in buying now and getting in a renter. If it ends up needing repairs, who will have the time to do it? If work starts getting outsourced you quickly find you bought a money pit. I think Rjack has a good point depending on the personality type of the people involved. Adventurous/entrepreneurial people might consider going for the house – especially if they are handy and willing to buy a fixer-upper and use the free time to increase the home’s value through working on it. But in this case, we have a small and very busy family. The man will be a lawyer soon, which is already more than a full-time job. Then there are two young kids, which I consider to be another full-time job, EACH. This skews my recommendation towards keeping things simple for now. Also, I agree that house prices are at or close to a low point. I would definitely advise buying within the next few years. I was assuming that with hard work, the student loans would be paid off within a year of starting the real job, and the house downpayment would be acquired within less than another year after that. Once he starts working, we’ll be on the MMM plan, meaning saving $5,000 or more per month rather than $500. I agree, MMM. I was also thinking that if he could have the loans paid off within two years he could start looking to buy, make looking into buying with low rates a reward for paying off the loans fast. I am currently banking on the idea that we have at least two more years of low interest so I can keep saving for a larger down payment (unless of course the perfect house comes on the market before then of course). The federal reserve said they aren’t raising interest rates until at least late 2014. Pay off that debt! Look to buy winter 2013/2014 when prices are at their lowest. You’re right about this. Better to first clear off outstanding loans before taking on a heavy long-term mortgage. My liquid emergency funds had outgrown my needs & at the same time was servicing a car loan. So now I’m drawing down the liquidity & clearing off my entire loan next week. Btw the car I’d picked up is the smallest & must fuel efficient available in my market. Dropped my fuel expenses by about 65%. Also by selling the old car back to the dealer got my new one at 60% of the on-road price along with 4 years complete warranty, 3 years free comprehensive car insurance & 2 years maintenance contract. All in all, I think a good deal. Unfortunately can’t bike to work. I used to earlier walk to work, but now after getting married & moving; due to my job constraints I have to drive. Waiting for work on Metro line near my house to be completed, so that I can use the Metro for going to work & clear out my fuel expenses totally. Think yourselves blessed that you only have $52,000 in student loan debt. I am a (brand new) dentist who despite careful planning and working during school, graduated with $200,000 @ 6.8%, $30,000 @ 8% and $20,000 @ 5% (total $250K) in student loans. I got the best possible education possible (literally) in the nation, so it was worth it in the long run, but I’ve been doing a lot of tricks to bring my student loans under control. -I am on the mortgage of a piece of property with my dad and my mom, and was able to apply for a home equity loan at 4.5%. I swapped $100K of the 6.8% student loan for the 4.5% one to decrease the amount of interest that accrues. -I happen to live in this piece of property. My “rent” pays for the taxes and insurance on the house, plus a bit extra for my parents. -In addition to my monthly minimum loan payment, I’m tucking away another $1000 to pay off student loans, meaning I’m throwing another $12,000 per year at my student loans, which will pay off all the 6.8% in approximately 3 years. My first goal was getting a good job and that should be yours as well. I know as a graduated law student it may be harder to obtain a great job, but as everyone says, finding a higher paying job should be your priority. Those loans are accruing interest, and the sooner you can pay those off, the better. Those loans are evil, since you can’t lose them even if you go bankrupt – they will literally follow you to the grave. I wouldn’t think of buying a house right now. Too many costs involved, and you’re complicating your life too much at the moment. There’s a Mustachian article about how little it takes to actually raise a child, despite all the articles that state the oodles of money and the house and bells and whistles they need to flourish. Read it, it’s got some good stuff in it. Be happy with renting for now, and concentrate on paying off those loans. Good luck! Student loans are evil, and I’m convinced they are the new mortgage bubble that is going to have to pop personally. This is interesting. A college classmate of mine graduated from Tufts with a similar amount of debt. She works for a corporation in the Midwest and uses her bonuses to attack the debt. But, she doesn’t have the rent or ability to borrow from relative. Do you think her first priority should be finding the highest paying job or is the dental field pretty flat? Actually, I would see if she can find some other routes. Then, there is also the option of doing military. Although the benefits are greater if you join before or during graduate school, they may still offer some decent loan forgiveness. Some of my classmates will have their loans forgiven after four years of service, and some of my classmates who weren’t doing the military are thinking about serving in the reserves. Lastly, your friend could also look into the Indian Health Services program, which dedicates service towards for Native American communities and is similar to the NHSC. If things hadn’t worked out with finding the job, having the financial support and ability of my family and so on, I would have gone with these options. The main disadvantage that you can end up in bumblefuck of course, but if you are looking to explode your Stash in a relatively short amount of time, this is a good way to do it. Many federal public service jobs wipe out any remaining non-private school loans (the loans themselves not the educational institution) after 120 months of qualified loan payments (any loan payment made while federally employed). Just like the aforementioned program, public and private sector employers do offer benefits on helping pay student loans but I haven’t heard a deal better than wipe-the-slate-clean-after-10-years plan. Of course, then you are wearing golden handcuffs to some degree. And for those curious, you do NOT owe the IRS taxes on the big chunk that is relieved after 120 months. Not to trying to pick a fight here. You mention getting the best education in the nation, which I am not even trying to argue here. However, when I made my college decision, I had three schools in mind (well, two really, the other was a big name school that started sending me stuff so I thought, what the hey, why not try and see if I can get enough money to go). I got accepted to the two I was originally aiming for. One was a good engineering university, in my town, where I could live with my folks throughout. Tuition over the 5 years averaged about $5k/year. I also received some scholarships for the first year. The other one was a great engineering university, the school I’ve wanted to go to all my life, halfway across the country. Tuition for the first year would have been $30k, that does not include room and board. Now don’t get me wrong, I am sure going to the more prestigious school would have given me more opportunities to get my foot in the door once I graduated, but you know, after a couple years, it really doesn’t matter. It’s your work ethic and how you took advantage of the opportunities given in college that matter in the long run, not the name of the school on your degree. Looking back, I now wish I went to a community college for the first year or two to save even more money. With scholarships, working, and some help from my parents, I got out of school with about $2,500 in student loans which I paid off before the first bit of interest could get added on. That’s it, all the debt I had. Still got a good job, making good money, in an organization with plenty of room to move ahead. For those of you high school students looking into college now or soon, make sure money is a factor in your decision. Going to the school of your dreams is great if you can afford it. But if you can’t, make sure the ROI is worth it. I like to think my college choice was the first major mustachian decision I made, before I even knew what mustachianism was! Peter, I agree completely. I don’t know about the dental field, but as a software developer in my area, caliber of degree didn’t really come into play. I went to the local state university for 4 years and actually ended up leaving early for a full time job as a software developer prior to actually having a degree. I didn’t take on any debt until the last 2 years of college and then it was 10k total (not too bad in comparison to friends that racked up 100k+). I quickly moved up the financial ladder and most employment opportunities that I see today are actually looking for experience over education. This is probably not parallel to something like the medical industry, but it may be for most other professional industries. There will be some serious debate (if not already) about whether the cost of college is worth it over a young persons career. I know as my children grow we will be talking about all types of opportunities to do, with or without college. I agree. I’m IT professional (been on the job for 3 years) with business management degree (hated it so much) and no student loans at all. You could say that I got my degree for free and yes it’s true because I got my tuition waived due to my deafness in Texas (better believe it – do some research on state-funded public universities in Texas where deaf students get their tuition waived). What helped me the most in landing a job was knowing what I wanted and the ability to ace in job interviews I seek out. Furthermore, I started doing some small time programming as a hobby such as web development. Now with suffice finances and small local university in my area, I’m able to further my studies in Computer Science since I fell in love with my job. Think of it as compounding investment both career-wise and financial-wise. Everything adds up and my employer also covers some of tuition costs as well. It’s all about connecting the dots to recognize the compounding opportunities. Yes, it’s real TOUGH to land a job in IT field. I started out as intern for the government agencies which led to a full-time, permanent position. I agree with Peter the engineer. The great university only get’s your foot in the door, but once you’re in…it’s personality and work ethic. Right, right, and for most people it would not be worth paying that tuition. For most people I would advocate taking gen ed classes at community college, transition to the cheapest university for your remainder of your classes and graduate as soon as possible. If going to school at all, for that matter. I could be wrong here, but I think dental school is post-college education. While I agree with some of the responses that attending a big-name college is less important in finding a great job, the type of school attended for graduate/professional degrees is considerably more important. This is the case in both my and my husband’s fields. In my case, obtaining a PhD from a non-top 20 school makes it significantly harder to find a job, and would have made it impossible for me to land my dream job (among the most competitive). My husband went to the #2 school in his field, making him eligible for much more competitive and prestigious jobs down the line. It also happened to be the cheapest, as it was in state, but still landed us $150k-ish in debt. Sometimes, debt is unavoidable. As someone who attended dental school, I can assure you that the school doesn’t mean a thing. It’s all about the degree. The cheapest route is absolutely the best route for dentists and most physicians. Yeah I’m a dentist too, not worth it, can’t wait to pay off my debt and retire… I’m out. Warning dental students,,, don’t do it! II have to agree with this sentiment – college loans are indeed evil and I also agree the bubble will soon burst. One of the things that has prevented me from fully retiring is that DW and I chose to take on the children’s education debt rather than expect them to pay for it. I could not in good conscience let my kids begin life with that debt. I could be saving another $1200/month for my own retirement if I did not have that debt. RIght now we have enough income that we began last year to “snowball” all the student loans left, which should clear all remaining education debt by 2014. But I see this all the time in higher ed. The whole system is corrupt, evil and preposterous and is one of the greatest inhibitors to growing the economy and making the US a more innovative and fisr society. The bubble will burst indeed, and when it does, it won’t be pretty. So where does one look (or what does one look for) to get the low interest rates on student loans? My wife has a student loan for her Master’s Degree that we are paying down but a lower interest rate could make that process go faster. Faster is good. Hey MMM I just want to thank you for this post. My husband and I have been debating this exact idea for a few months now. We have about $70,000 in student loans between the two of us with interest rates anywhere from 2% to 9.8% (and I haven’t yet found a job that I got my education for.) We want to save for a house but had pretty much come to the conclusion that paying the loans off first would be best – this seals the deal! Even though we’re in a pretty serious buyers-market for real estate, with that much debt it totally makes sense to pay it off first. Paying off that debt will allow you to grow your wealth much faster. Additionally, if you are going to buy a house, I would strongly recommend *renting* on first. I wish I had done this as it will give you a stronger sense of what you really want in a house vs what you think you want. I paid off about 50k in student loans with a programmer salary in the Seattle area* in a couple of years, THEN started saving for a house…I’ve been saving for about 4 years after 2 of loan payoff, and still haven’t bought one. At the time, instead of 6.8% student loan interest there was a housing bubble to render downpayments vs. loanspayments illogical. Sadly, houses in this area are still illogically expensive to buy. *Included in the interest of full disclosure, your income situation is very different from what mine was, and you have kids. I’ll throw my two cents in here: Since you’re trying to pay down the debt, i wouldn’t try to build an emergency fund too aggressively, unless you basically don’t have one now. In your case, I’d say between $2000-$3000 is a good target. I like creating this buffer by ‘under-budgeting’. Estimate your take home pay, then budget based on $25-$50 less than that. Every paycheque, your buffer/emergency fund goes up a slight, but noticeable amount! @Brian – Good suggestion, I like it. Given the “freelance” nature of my wife’s work, and the fact that I don’t get paid time off for holidays, sick days, etc., it’s probably wise to underestimate our take-home pay. Become a minimalist. It helps when moving rental to rental to find a higher quality for less and less. At first i had a $850/mth 850 Sqft 2 bedroom rental in PA. Then a year later moved to $750/mth 750 sqft 1 bedroom rental in PA with no parking spots. Then a year later moved to $400/mth 1000 Sqft 2 bedroom rental with 3 parking spots. All within a mile of each other with my work being 1.5 miles away. Plus your mind will change about the House and it’s True Expenses and Time the more and more you learn about True Personal Finance. Also, Mortgage is French for “Death Lock”. Save/invest in liquid Assets until you can afford a small to large house, then buy the best quality and smallest one for your needs with Cash and preferably very very low taxes, insurance, etc. I’m a software engineer who just got my first job in the field, a job that I like, but I’m earning fairly close to what I’d personally consider minimum wage. Currently I get 13300 SEK after taxes every month and I have a student loan of 150 000 SEK with less than 2% interest rate. We’re getting married in May, so that’s first priority to pay for, but that’ll just be 60 000-70 000 SEK and hopefully I’ll be able to save money until then to pay for most of my half. But what then? Personally I want to save up money for travel (and I suppose a downpayment for a house), but I’m not sure how soon I should start paying off the loan in a higher pace. If I even should do that, I could just pay it off in whatever pace the loan giver sets for me. Good stuff! Usually it takes time to build a well-established life the American way. In my situation, the debt I only have is credit card because of relocation expenses, security deposit for an apartment, and a pro-rated rental, etc due to new job. This should be in a controlled manner to take off my life. Indeed, I got free, used furnishings for a while until things spiraled out of control when I saw nice furnishings at out of business sale and ‘kitchen’ essentials. At the end, I found those are not necessary at all. That’s the only regret I have so I’m paying the price for running up my credit card. But the good news is that I am able to pay it off within 12 months and save 10% of my paycheck into personal savings. And deduct 1% before-tax toward retirement fund with employer’s matching which is 3% total. In few months I will push to 3% of deduction which will total to 5% deposited into retirement fund. Once the credit card is paid off, then it will be increased to 5% which will be 10% since the employer’s matching maximum is 5%. For instance, 1%=3%, 2%=4%, and at last 5%< = 5%. Hence, if I deduct 15% the total will be 20%. And also when I got married, the wedding cost was $2000 while most American standards averaged about $27,000 for a wedding, correct me if I'm wrong. We had all the resources and connections to make the wedding grand. We excluded catering service, limo service, or all the blissful luxury. I didn't even purchase a wedding band, either. My wife decided to use the engagement ring as a wedding band instead. Definitely a mustachian style. I only spent $300 out of pocket for that wedding alone. No tuxedo, just brand new suit because it is useful to wear for other occasions as well. I would stop spending money on something to get that employer matching now. You are throwing free money away. If it must come out of some of that personal saving, then so be it. You’re right. In fact, I need to build emergency reserve. Secondly, the money I’m spending is going toward credit card debt. Is this what you’re suggesting is go for the matching to get free money and pay whatever’s left toward credit card? I think it’s a tougher issue but in my own opinion, it’s free money that you can never get again, I would do whatever I had to to get the employer max. Are you sure there’s nothing in your spending you could reduce outside of paying off the credit cards? I believe MMM might disagree with me, might depend on how much debt you are holding. Free money is great but the return on investment, let’s say 2%-3% of ROI, is much lower than the 9.7% APR on my credit card. Another factor, I have total control over my retirement investment so I make certain I don’t lose. I lost nearly 20% of my investment back in October and November however almost all of them were recovered. My wife’s student loan will be paid off as of next week as anticipated. She has another student loan which I’m not overly concerned since there’s tax advantage on paid interest. Those will be taken care of after credit card since it’s only less than 10k. Then we’re debt free. As for savings for emergency reserve – 2 other factors are to be taken in – an upcoming trip to see my family for thanksgiving which I haven’t done so in the last 3 years and also Christmas gifts for my wife’s very large family. My family don’t celebrate Christmas. The bottom line is I have to take care of myself, my wife, and my child before anything else. Correct me if I’m wrong, but isn’t employer matching effectively 50% ROI? Have you considered that? Not quite sure what you meant by ‘effectively 50% ROI’. Once it’s invested in, I have to monitor my investments or I lose it big like I did on 20% loss last fall. 50% must be a really nice ROI and could retire easily perhaps less than 10 years give or take. If I monitor my investments conservatively and carefully, my ROI will increase no matter what. Right now I started to contribute 1% which gives me 3% total (5% or higher of pre-tax contribution will give me 5% of free money) to be invested in while paying down the debts because I unplugged the contribution for only 1 year and paid off 2 debts (one of them will be paid off by next week) with 2 debts left to go. Another reason I started the contribution is to reduce the payment on state tax. I only have 30 years to invest since I cannot withdraw until I’m 59 1/2 years of age or I will be levied with stiff 20% of penalty – 10% for early withdrawal and 10% of it will go to IRS. I would actually consider it a 100% ROI. $1000 pre tax investment = $1000 employer match. hence, $2000 are in your 401k. Regardless of market performance after your deposit, you just snagged 100% free money. Thanks for clarification on ROI. I misunderstood on ROI because I was thinking of returns based on profits. If you think dental and law school loans are bad, wait till you look at med school loans. My husband and I recently had a rent versus own discussion on the same tack. I found this website a little useful http://www.nytimes.com/interactive/business/buy-rent-calculator.html?_r=3&ref=patrick.net&oref=slogin&oref=slogin&oref=slogin to help me get my head on straight. You need to ask yourself if you are planning on staying in that area a long time and see where your possible rent stacks up against that website. Hopefully, you are making the smart decision and renting on the extremely low side, which should make this a no brainer. We figured out in our neighborhood we’d need to pay 2000 in rent a month for 5 years to make it worthwhile. Debt is debt is debt. If the interest rate on your loans is higher than what you’d pay on a mortgage, pay off the higher rate first. However, you should consider the *total* effective rate. Your mortgage interest is deductible, so you should consider that in your effective rate. Paying off other debt can improve your credit and lower your mortgage, so that should weigh in. But if you have debt, I don’t think you should feel an emotional attachment to one loan or another. Except mortgage debt can be walked away from or got rid of in other ways. Whereas student loans afford more protections for creditors that make that essentially impossible. Okay, that’s actually a fair retort. I’m making the assumption that all debt will eventually be paid off. If you’re considering the ability to default in one form or the other, that changes the game. However, I still think that should be a multiplier on the debt interest rate, and you should pay down the “most expensive” debt first, however you calculate most expensive. I agree with those who say paying off the debt is a better deal. But in terms of saving for a downpayment, you might check into whether you can borrow out of your 401(k) for that purpose, especially if there is employer matching, which equates to a 100% return for the matched amount. The other important but neglected reason to pay off the student debt is that it is generally not dischargeable in bankruptcy. Thus, it is one of the worst types of debt-slavery you can have. Keep in mind the 10% IRS charge for borrowing your own money back (still worth it if the deal is right), some 401k programs do not allow for contributions until the loan is repaid. There is only a 10% penalty tax if you don’t pay the loan back. I have $79,000 in student loans (BA, BS, MS, and PhD); the four student loans have interest rates between 4.8 and 6.8%. We have other consumer debt, accrued due to my partner’s unemployment and an international move. We’re in Australia now, and we’ve managed to find great, well-paying jobs. So we’ve decided to tackle our debt in stages. In 2011, we will pay off $25,000 in credit card debt and one of the student loans. In 2012, we will pay off a second student loan and save $32,000 in two First Home Saver Accounts. (These earn 5% interest and get a 17% match on the first $5500 in each account). In 2013, we will pay off the third student loan and continue putting a lot of money into our First Home Saver Accounts. Our decision to pay off student loans AND save for a home is largely motivated by the Australian government’s generous policies. In two years, we will get $4000 in government matches and over $3000 in interest toward our down payment. By the end of 2013, we will still have $35,000 in student loans – but we will also be in a good position to buy a home when the Australian property bubble bursts. Right now, we get so much more home for our money as renters instead of owners. In fact, I calculate that we’re saving $2650 PER MONTH by renting instead of owning. TL;DR: Run the numbers, look at property prices, consider government incentives. I wouldn’t bank too hard on the Aus property bubble bursting. They have been saying that for about a decade, and the best it has done is plateau a couple of times. Yep, we are renting now. We are getting much more house for our money as renters instead of owners right now! I just put up a post on my blog, running through the numbers. The numbers are pretty shocking, I think. If prices in Sydney stay so high, we will just buy investment property elsewhere and keep renting here. (The median home price in our neighborhood is $1.15M right now). But as an American, I’ve got to say that Australia offers some great interest rates and government schemes compared to the U.S.
Lots of good advice. Obviously kill the 6.7% but perhaps run the free money until it starts accruing real interest. At the moment with a 0% rate, inflation is paying it off for you! US mortgage rates are at historic lows. The fact that you can lock in these sub-4% rates for 25 years boggles my mind. (Here in the UK the most we can go to is typically a 5 year fix, with a very few 10-years around). I wouldn’t be surprised if they give a name to the generation who are able to lock in these rates in years to come! So you’d ideally want to lock into that ASAP. Don’t hang about – as MMM says work hard to get there asap (but kill the debt first). My second suggestion is old advice but here it is anyway — work for yourself for ideally an hour a day. Find a chunk of time, ideally in the morning, to work on your own projects and investments. I see so many lawyer types get consumed by their jobs, and lazy with the details of their life. Don’t let a good income be a morphine drip that slops over the detail. WTF? There are loans in the US for 4% locked in for 25 years? Do they expect growth again EVER? It’s essentially a goverment subsidized rate to encourage home ownership. It’s hard to not take advantage of the low interest rate and I’m thinking about refinancing my house that I’ve only had for 2 years. There was a recent post on Get Rich Slowly where a contributer paid cash for her home instead of getting a mortgage. Comments were split between those thinking that owning a home outright is ideal (Dave Ramsey fans) and people who think that incredibly low interest rates guaranteed for 30 years make a mortgage a better deal due to inflation. The funny part is, today’s picture is actually of a guy that was dressed up as Sherlock Holmes. But with the giant mustache, he was described as “Sherlock MO’lmes”. MMM, I love your mustache pics, just make sure you’re not violating any copyright laws! 2. Take $5,000 from car sales and pay off the 6.8% accruing loan. 3. Take the $500/mo and put it in some sort of interest-bearing account. The liquidity of that investment should depend on how long your other loans are deferred. If they are almost out of deferment, stash it somewhere quite liquid so you can begin paying down the loans once deferment ends. Of course you should let them sit in deferment as long as possible, because, as Monevator pointed out, inflation transfers wealth from the lender to the borrower. The longer you wait to pay that thing off (without it accruing interest), the less money you are actually using to pay it off. The idea of paying off the debt first is good for a few reasons. It’s a solid immediate return, buying a house now will essentially lock you into whatever job/area you find next, and it will lower your monthly expenses. The Mustachian lawyer must be commended, already living on $1500 a month for a family of four. That’s pretty impressive. Especially when I compare it to my pre Peace Corps lifestyle where I was spending $2000/mo as a single dude. That brings me to my final point: if you end up working for the government, that could affect your repayment situation. Many posts offer deferment or some kind of match on paying down student loans. In my case my loans are deferred during my service. Thus, I am not paying them off obviously. This article has made me realize I should pay off my loans the moment my service ends. Thanks for the article and analysis. :( Rent is 1500/mo for a 2×2. Sigh. You don’t need Seattle. WFH. They like coffee here too. Do they need any American lawyers there? Game producer. It’s cheaper than California! These are two relatively unrelated questions. Assuming one must live somewhere, the 1st question is rent or buy? There are plenty of online calculators to do the math. Then, that decision made, minimise expenses and pay off the debt! I have great news! In a few short months I too will start grooming my own money ‘stache!. I currently only owe $4300 left of my original $30,000, and still have about $30,000 in various tax deferred investments up here in Canada. My net income is about $4000 monthly (I’m an RN), and my monthly fixed expenses are about $1300. Guess what I’m gonna do with the rest? I plan to retire at 50 in 18 years time having a multi-level emergency fund, short term and longer term investments. Then life will really be grand and i can stay casual in my job, show up to work IF i want, WHEN i want, with a big fatassed smile on my face! Cant wait to start REALLY saving money. I have a 11 year old van right now, and just bought a bicycle (brand new off craigslist for $100) for summer to get to work. thanks MMM for the great blog, keep on making the awesome posts! I’ve read them all and follow you almost daily! My wife and I are in a similar situation, except I’m originally from the UK and so my student loans are over there. I moved to the US 3 years ago and have about 21,000GBP ($33,000) in loans back in the UK. As the student loans there are subsidised by the government then the rate is very low (currently 1.5%), but it’s variable and so could go up quite a bit next year. We currently have $55,000 saved for a house deposit and save about $4,000 a month ($3,000 for a house, $1,000 for a car/other things). I also have 10,000 GBP ($16,000) roughly half the loan amount in a high-interest savings account over in the UK. In the UK is strongly advised not to pay off your student loan any quicker than you have to (a monthly amount is automatically taken out of your paycheck every month if you earn over a certain threshold), as it’s considered to be the cheapest loan you’ll ever get. It’s recommended to pay off your mortgage before your student loan as the interest rate is usually 1-2% higher. It’s also tricky as I have to consider the international USD to GBP exchange rate if I’m paying back some of the loan using my US dollars. Mr Money Mustache, I don’t know whether your advise would change considering my circumstances or whether you still feel that it would be a good idea to pay back the loan in full as soon as possible. This is the only debt that we have. Our combined income is about $110,000/year and we have about $3,600 in a Roth IRA. Any advise (even if it’s just one sentence!) would be much appreciated as my wife and I consider ourselves to be good savers and live pretty frugally but aren’t really that savvy when it comes to putting our money to use in the right ways! John, It’s awfully late for a reply and you probably have already gotten a ways into your plan, but since no one else has replied, I’ll give my two cents. If it was me I would take the $16,000 from the savings account and the remaining $17,000 from what is saved for a house and pay that loan off. It has a low interest rate “now” but since it is variable, there are no guarantees. Even at a low rate, it’s slavery and risk that you could get rid of in the 10 minutes it takes to do a bank transfer. At that point you still have $38,000 for the house and it will only take you a little more than 4 months to save up to the previous $55,000 at your current saving rate of $4,000/month (that is awesome by the way!). I have a fairly low tolerance for risk, so other would probably have different ideas, but I hate the thought that you keep it because that’s what everyone else does (Are the people telling you to keep the loan trying to be FI/muststachian?) and then you lose your job and the interest rates happen to go up, you have a mortgage, and the water heater breaks. :( I’d rather wait 6 months to buy the house and be debt free when I do. You have probably already paid off the loan and bought yourself a house in the time since posting this, and if so, good for you! When you are saving that quickly you can accomplish a lot! Cheers. I graduated 1 year ago, got a decent job and put all of my money towards student loans rather than a house down payment ($22k and all loans paid off in 1 year, not bad right?). However, for recent college graduates, student loans can be our largest factor in our credit scores and our longest running active line of credit. Paying of my loans early and closing those accounts lowered my credit score from 780 to 660 (ouch). Not a huge deal breaker for me, but it definitely would have hurt if I had planned on financing a house today. The consensus seems to be that in general paying down student debt is preferable to buying a home, but I wanted to throw out for opinion my situation. My fiancé and I will be moving to the Cayman Islands from Malibu, CA. This move is partly lifestyle-based (we used to live on another island for a brief time) and partly mustachian in nature – our incomes will be tax free and believe it or not, the island has a lower cost of living. We plan on living within 1-2 miles of work and having scooters as our primary transportation. I’m trying to determine what would be the best use of our new savings, paying down our debt or buying a home. While saving for a home down payment (approx $50k) we would still be paying down our student debt, just not at as fast of rate. We currently have about $165k in student loans and my fear is that by the time we pay that off, which could take 4-5 years, housing prices may soar again. While I tend to agree with the common wisdom here and can’t wait to cut this damn anchor that is student debt, I’m concerned that doing so would put buying a home out of reach between rising prices and (eventually) interest rates. First time posting. What would be the MMM recommendation for a down payment on a house? In terms of % ( 20% 50% etc.) Also, on my way through the blog from the beginning of time. Started a week ago. I’ve just hopped on the Mustachean bandwagon about a month ago and have been powering my way in reverse-chronological order (pretty happy with where I am at this point haha) and this is probably the closest related post to my question. My parents are awesome and perhaps at their own expense have set me up in a way that I am eternally grateful. I have a 2001 Honda Civic with 60k on it they bought me for ~7000 and just 15k in student loans (my Dad has always been pretty mustachean I’ve discovered and done everything right but investing his money =/). I am currently working on a PhD in Chemical Engineering and have no interest on my loans acruing as a result until I graduate (first year in, so ~4 more years). I feel the obvious answer is to invest as I should be able to easily pay off my student loans with a couple months work but can’t as easily make up Roth contributions. I’ve got quite a few more questions coming your way down the line but for now a response to this would please me greatly. It may be relevant that I’ll soon be engaged (1 week) to a debt free woman with money saved (20k?) soon to be working at a new job hopefully in the 40k range. I know I have negative net worth right now but I’m optimistic about my future and planning to hit retirement before you did thanks to your book+ worth of wisdom in this blog. On one hand, Roth savings are less important to early retirees than average retirees in part because a fugal lifestyle means less total income needed (and lower retirement tax bracket to go with the lower retirement income). On the other hand Roth contributions (not earnings) can be taken out without penalty after the account is 5 years old (I don’t think there is even a waiting periond on the contributions made in the most recent 5 years). If you already have a Roth that would allow you to withdraw contributions by the time you complete school, you might as well put money there as pay down loans that will have zero interest in that time frame because you’ll have the luxury of changing your mind later if you want to and keeping any earnings in the mean time in your Roth for “free”. THIS! is the post I have been looking for :) I am a few months new to mustachian-ism and have been working through the archives. I have recently been having this debate with myself. I was actually considering emailing and asking for advice if I didn’t run into this case study soon. Currently have about $27000 in student loan debt and plan to have it all paid off by the end of 2015. Good to know I’ve been following the mustache recommended path. Thanks MMM! If you haven’t bought the rental yet I’d pay off the loans first. The property has no guarantee for returns and you’ll be able to save for it again once the loans are paid off. Having more time to research before commiting to buying isn’t a bad idea either. Those student loans can snowball fast if something goes wrong and you probably need more wiggle room for a rental unit especially if you’re a first time land lord. Good luck! Basic question that I am hoping that I can get some thoughts on regarding student loans. We have $38k in student loans ($15k at 4% interest and the other $23k at 1.875%). Up to now, I have paid the required amount on the loans and used the excess cash to invest in the market and to buy a rental property. My reasoning is that using historical numbers I can get a better return in the market or on my rental property than the 4% interest rate on the loan especially 1.875% interest. Its basically free money. In my mind its the same thinking as using a HELOC to pay off a higher rate card to save the interest money. Any thoughts on my approach? Am I thinking about this correctly? As long as I am making a return better than the student loan %, I should continue. Thanks in advance. Yes, you have the math right – it sounds like you’re truly using the money to invest rather than to just spend more. Many people make the “free money” argument to borrow for a new car at 1.9% or whatever, then later reveal they are only saving 10% of their net salary. These people are not using the freed up money to invest, but rather just to have a newer car.